Home > Posts > Types of Warts > Common wart > What is a Common Wart and How to Get Rid of It? What is a Common Wart and How to Get Rid of It? A common wart is a mild epidermal formation of viral etiology. 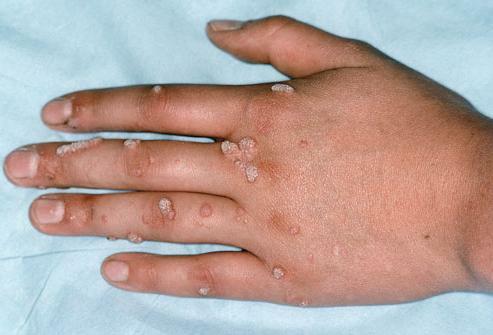 Warts are among the most common human skin diseases. According to some data, they are found in 45% of adults and in 60% of children. The common wart, like other types of warts, is a problem caused by the human papillomavirus (HPV), which is widespread among humans and animals. Infection can be transmitted from an infected person or an animal. The virus passes through the micro-traumas available on the skin. Therefore, the emergence of warts can be caused while shaving. The habit of biting fingers or gnawing fingernails is also dangerous. Various kinds of peelings aren’t always safe as well. How to Diagnose Common warts? Which Factors May Cause a Common Wart Appearance? Small epidermal growths can look like spherical, domed, or oval rollers having a fairly dense consistency. The color characteristics of the skin can be unchanged, or the common wart may have a pink, yellowish or even brown hue. The localization of such cosmetic defects is most often noted on the hands and feet, in rare cases, skin growths affect the epidermis of the face, neck and mucous membranes. Important: The size of common warts varies from 5 mm to 1-1.5 cm. The common wart can be either single or multiple. In the latter case, against the background of the remaining warts, one of the largest is the so-called “mother” wart. It is necessary to differentiate a common wart from the warty tuberculosis of the skin, warty basal cell, keratoma, verrux nevus, etc. Diagnosis is mainly based on the clinical picture. In addition, a PCR test for human papillomavirus can be performed. The diagnosis is based on external signs but warts should be differentiated from red planar lichen, which is characterized by waxy luster and violet-red color of papules. From warty tuberculosis, warts are distinguished by the absence of an inflammatory infiltrate and a red-violet corolla around the periphery. When removing the central part of the plantar wart, a tender papillary layer is exposed, and a dense horn ring remains on the periphery. When taking a biopsy, this picture is a confirmation of the correctness of the diagnosis. The human papillomavirus (HPV) is present in the blood of 90% of the world’s population but not everyone notices the appearance of skin warts. This is due to the peculiarity of the viral agent, which can stay inactive for a long time, while retaining vital functions. Activation of HPV causes a decrease in the immune response, which occurs against the background of deterioration in the general state of the body. It is noted that quite often the formation of primary (maternal) warts occurs at the age of 7-14. This is due to a high probability of infection of the child with papilloma virus. Infection can occur both in contact with the carrier, and in the process of using common household items, toys. For children, the path of penetration of the viral agent through the damaged surface of the skin is characteristic: scratches, abrasions, wounds. 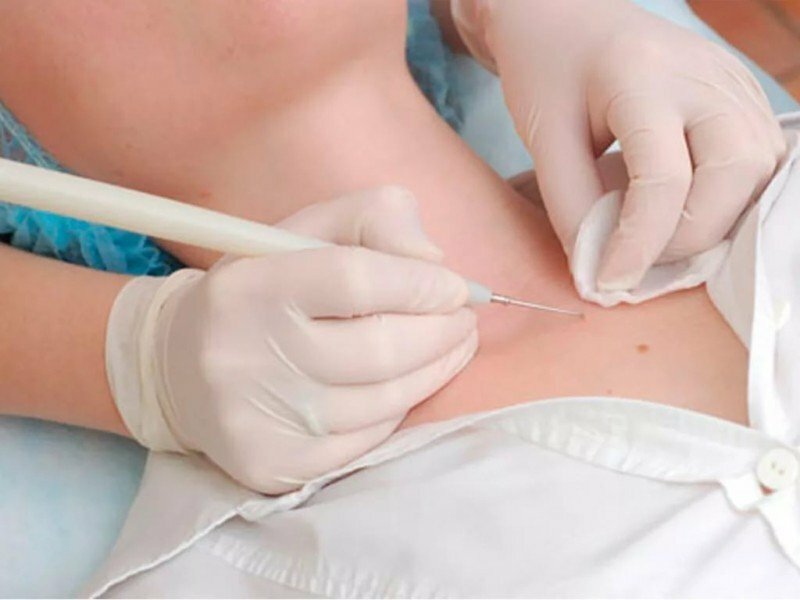 A characteristic feature of common warts is their ability to autoinoculate, which manifests itself in the spread of a cosmetic defect to healthy tissue sites. Important: Common warts can look like symmetrical neoplasms, most often separated by a skin fold. Quite often, the back of the palm is subjected to multiple eruptions. A common wart refers to benign formations, which means that it does not always need to be removed by radical methods. The treatment indications can be pronounced cosmetic defects or the potential health danger. The doctor determines the method of treatment, the choice of drugs, and additional recommendations for skin care. Do not try to remove the warts yourself, especially with the use of questionable tools and techniques. This can lead to complications. This is a conservative treatment. This kind of therapy has undoubted advantages: not only warts are removed but also an active effect on viruses, immune defense increases. This creates an obstacle to the recurrence of a viral infection. 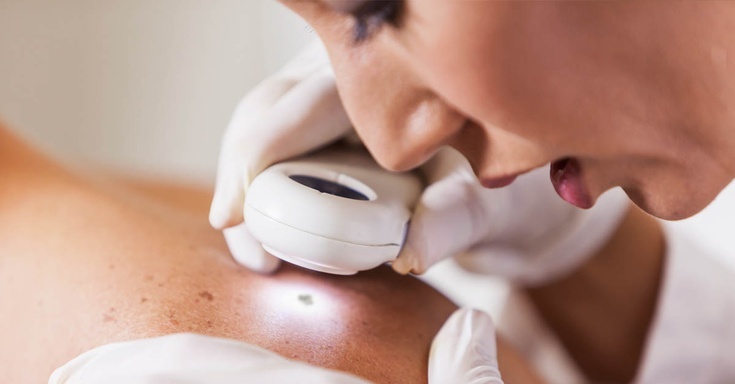 Many cosmetic clinics offer a wide range of laser ablation options. The procedure is simple and fast, due to the laser beam, the zone affected by the virus is removed layer by layer. All manipulation takes several minutes and is performed under local anesthesia. You can eliminate warts with a laser in almost any location, from the face to the soles. Healing occurs relatively quickly, but there are also some disadvantages. In the area where the laser wart treatment was performed, a sore and a deepening of the skin is formed, which lasts for several weeks. 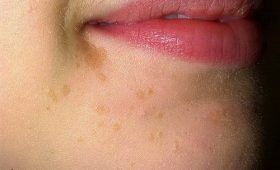 The laser wart removal is somewhat limited in case of multiple facial lesions and in children at an early age. This technique is used infrequently and only if other methods are not appropriate. Its essence is that the remedy for warts is applied to the surface of the formation and actively destroys it due to aggressive chemical components. Typically, the composition of such remedies from warts includes alkali or organic acids, which helps to quickly remove warts in limited areas of the skin. The use of such remedies against warts allows you to pre-burn it to remove completely. The procedure itself, when such an active remedy for warts is used, may have a single and multiple application. This process resembles the work of a wood burner. The principle is the same. The electrode with a metallic thread is connected to an electric current, the thread heats up red and burns the skin. Then the wound is sewn with threads. The procedure is performed only by a doctor and only under anesthesia with Novocaine. 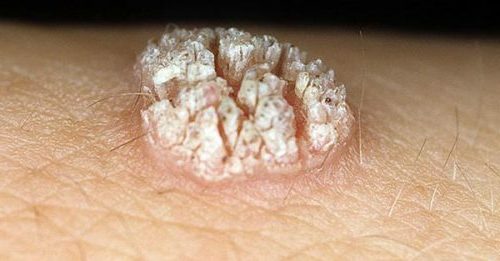 Natural homemade remedies are based on the repeated treatment of warts with herbal remedies containing cauterizing and destroying chemicals. Such treatment is not always effective. Important: Be careful using natural remedies, they may lead to the development of complications: ulceration, infection, damage to neighboring healthy skin areas, the growth of warts due to their incomplete removal, etc. adminLeave a Comment on What is a Common Wart and How to Get Rid of It? What Is Plantar Wart and How to Differentiate It from Other Wart Types? Senile Warts: What Is It and How to Get Rid of It Effectively? © Copyright 2019 Med Warts. Travel Agency by Rara Theme. Powered by WordPress .